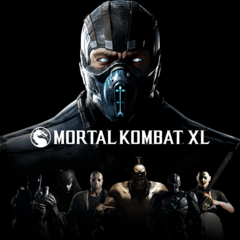 Mortal Kombat XL brings you ultimate Mortal Kombat X experience and includes the game itself and both Kombat Packs which add new characters. Mortal Kombat X is the latest installment in legendary franchise. NetherRealm Studios did very good job bringing new mechanics to familiar combat. For the first time in the series, Mortal Kombat X gives you ability to choose from multiple variations of each character which differ in fighting style. Add story, lots of different game modes, online battles and Krypt, and Mortal Kombat X becomes one of the best games in the franchise. Not the best price, but if you’re in need of some good fighting games, it’s worth buying now. If you feel like waiting for another price drop, you can subscribe here and we’ll inform you when the price is better. I once said Mortal Kombat X is one of the most stacked fighting games of all time, I can now say Mortal Kombat XL is the most stacked fighting game of all time. The content, the quality, and the lasting appeal in this game is just incredible. I honestly think this is almost the perfect Mortal Kombat game ever, to the point were I would be happy if Netherrealm would just keep on supporting the game until the next gen of consoles. If you didn’t manage to pick up Mortal Kombat X last year, then now is the perfect time to invest your money in one of the best fighting games you will ever play. Go buy it!